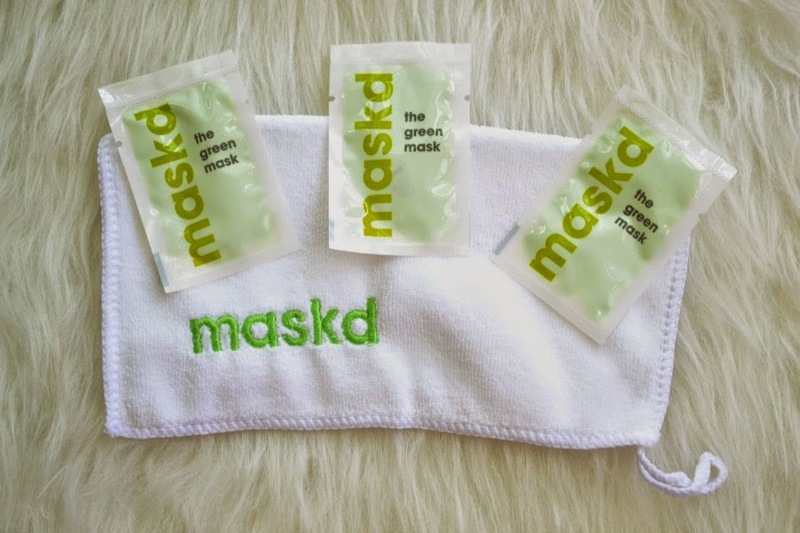 "Maskd" is an Australian product that was created by Carlie, a beauty therapist from Brisbane. It's made from natural ingredients, made in Australia. "Maskd" is a do it all mask. The green mask (which of course is green!) will suit most skin types. Carli sent me 3 samples to trial and I used one once a week for 3 weeks. From the very first try, I was hooked. Their tag line is "Can you handle the sting?" It's a slightly scary thing to see when you're about to try something for the first time, but at the same time it prepares you for what's about to happen. The first time that I used it, I was slightly afraid. After applying the green mask to my face, I did in fact feel "the sting." And it kept getting sting-ier!! I started thinking, Oh no I'm going to have to take this off! But after about a minute and a half the sting started to lessen and I was left with a moisturising mask. I kept the mask on for about 15 or so minutes and rinsed it off with water and a face cloth. I was instantly surprised at how soft my skin felt as I rubbed in my serum and night moisturiser. For about a day and a half my skin still felt so soft and smooth. My skin looked radiant, felt amazing and my make up looked better. The sting becomes easier to handle the more that you use the mask. Because everyones skin is different, you may feel a tingle or feel like your face is on fire. Until you try it out for yourself, you just won't know how much of a sting you'll get. After using this 3 times, I'd buy the full size in a heart beat. It's actually a mask that makes a difference to your skin, instead of just feeling nice and being relaxing. One of my new years resolutions is to use a face mask weekly and this one will be perfect for achieving a gorgeous complexion in just 15 minutes once a week. It costs $49.95 for 50mls and will last a while if you use it once a week. Even with only 3 uses, I saw such a big difference in my skin that I know using it once a week will dramatically improve my skintone. Currently you can purchase the mask online from their website here but it will be making its way into salons very soon. 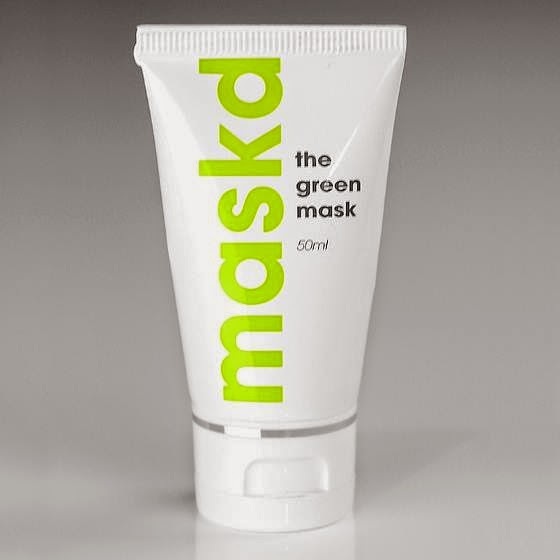 If you want to try a free sample head over to the Maskd Facebook page here, to find out how. Don't forget to like them too!! PS Check out the mask in action here. Great review! This sounds a bit scary with the whole stinging thing but it also sounds like it is worth it. I've just emailed for a free sample so I can check it out. Yes, the stinging sounds scary but it goes away in under 2 minutes and then you're left with gorgeous skin.